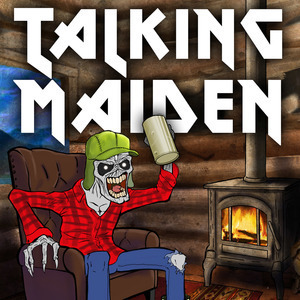 We found 10 episodes of Talking Maiden : The Podcast of the Beast with the tag “legacy of the beast”. The guys discuss more of the the B-Sides of the beast. The guys discuss their UK trip, their visit to the Cart & Horses, and the second and third Iron Maiden Legacy of the Beast concerts at the O2 Arena. The guys are en route to the U.K. for the Legacy of the Beast tour! They discuss the trip, beers, the tour, the new Iron Maiden lawsuit and revisit some classic Talking Maiden clips. The guys shine some light on some of Iron Maiden's most unique guitar solos. The guys discuss some Iron Maiden songs that don't get enough love. The guys discuss the Iron Maiden Legacy of the Beast tour, setlist, stage show and get a live concert recap from our correspondent who was at the first two shows. Also... beer. The guys record a live episode as they discuss the setlist of the Legacy of the Beast Tour as it is revealed song by song. Special thanks to listener Greg Harden for being our on the scene correspondent in Estonia!